The International Tiger Coalition (ITC), an international group of organizations committed to ending tiger trade, rejects the false and deeply flawed argument that tigers bred on industrialized farms can save wild tigers as presented on ABC's 20/20 on May 8, 2009. 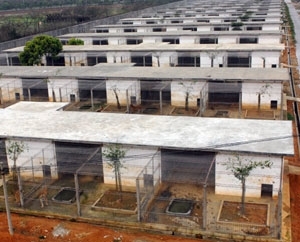 Tiger farms were established and are managed primarily for commercial trade, not conservation, driven by profit from the sales of tiger-bone wine and skins. At present, all commercial trade in tigers and their products is illegal. But as long as there are tiger farms that promise a future reopening of tiger trade, the ban cannot be effective. Since initiating a domestic ban on tiger trade in 1993, the Chinese government has removed tiger bone as an ingredient in the Traditional Chinese medicine (TCM) pharmacopeia and invested in the development of effective alternative medicines and public awareness campaigns. It has been very effective in protecting wild tigers by stopping the previously legal market, reducing demand and allowing some fragile tiger populations to stabilize, such as the Siberian tiger in the Russian Far East. A contingent of business owners with financial interest in large-scale tiger farms and their supporters are now pushing China to rescind the ban. Permitting even a limited trade in farmed tigers within China will undermine decades of conservation efforts across the range of the tiger by reigniting a market demand that has nearly been extinguished and increase poaching of wild tigers. Poaching will always be too cost-competitive an option to ignore: consider the price of a bullet, trap or poison to kill a wild tiger against an estimated US$4,000 to US$10,000 to raise a farmed tiger to maturity. Wild-sourced products are also consistently perceived to be superior by consumers, a situation that has resulted in wild Asiatic black bears being poached despite the saturation of the Chinese market with bear bile from farmed bears. Finally, the notion that tigers bred on a farm can be reintroduced to the wild, thus contributing to the survival of wild populations, has no factual basis. Farmed tigers are likely to be too genetically and behaviorally compromised to be released into the wild. Farming tigers for trade will only hasten the irreplaceable loss of a species on the brink. With improved enforcement, existing bans can wipe out tiger trade before tiger trade wipes out wild tigers. QUOTES: "It is inconceivable that profit and the bottom line was the only lens through which 20/20 approached the issue of tiger farming," said Grace Gabriel, Asia Regional Director of IFAW and ITC member, who was interviewed by the show. "Every player in that trade chain is criminally responsible for the depletion of tigers in the wild, from poachers to smugglers to traders and to those who promote tiger trade: investors and owners of tiger farms." "Unfortunately, 20/20 focused on sensational and unproven free-market theories applied to tiger farming instead of presenting a balanced report on the inherent risks to the tiger's very survival in the wild," said Judy Mills of Conservation International and Moderator of the ITC, who was interviewed on the show. "All our science and studies indicate that opening tiger trade and encouraging tiger farms is bad news for wild tigers and by extension, for people and the planet." The population of wild tigers has plummeted from 100,000 a century ago to around 4,000 today. China, the country where the tiger species is believed to have originated, has fewer than 25 tigers left in the wild along its borders with Russia and Laos. China's population of tigers on its border with Russia could recover--as long as trade remains closed within China. -- Tigers are vital to the health of ecosystems. The loss of these flagship species impacts biodiversity, deprives nations of rightful revenue from tourism and agriculture, and puts food security and the health of people at risk. -- Tigers are listed on Appendix I of the Convention on International Trade in Endangered Species of Wild Fauna and Flora (CITES), which bans the international trade of tigers, their parts and derivatives, for commercial purposes. In 2007, the 171 CITES member governments decided by consensus that tigers should not be bred in farms for their parts and products--because they agreed tiger farming threatens the survival of wild tigers. -- A 2007 poll in China by Save the Tiger Fund found that 90 percent of Chinese people favor keeping the tiger trade ban in place for the sake of wild tigers and China's international image. Legitimate Traditional Chinese Medicine practitioners have also moved away from using tiger bone in medicine. -- A 2007 survey by TRAFFIC (the wildlife trade programme of WWF and IUCN) of over 500 retail TCM shops in China showed that hardly any shops stock tiger bone as medicine. Of 518 shops, only 2.5 percent claim availability of tiger bone and 64 percent are aware of the trade ban. Today, TCM colleges no longer teach the use of tiger bone as medicine, and legitimate, law-abiding practitioners around the world no longer use tiger bone. The following organizations are part of the International Tiger Coalition: American College of Traditional Chinese Medicine * AMUR * Animal Welfare Institute * Animals Asia Foundation * Association of Zoos & Aquariums * Big Cat Rescue * Born Free Foundation * Born Free USA * British and Irish Association of Zoos & Aquariums * Care for the Wild International * Conservation International * Council of Colleges of Acupuncture and Oriental Medicine * David Shepherd Wildlife Foundation * Education for Nature a^' Vietnam * Environmental Investigation Agency * Global Tiger Patrol * Humane Society International * Humane Society of the United States * International Fund for Animal Welfare * PeunPa * Phoenix Fund * Save The Tiger Fund * Species Survival Network * The Fund For The Tiger * Tigris Foundation * Tour Operators for Tigers * TRAFFIC * 21st Century Tiger * WildAid * Wildlife Alliance * Wildlife Conservation Nepal * Wildlife Conservation Society * Wildlife Trust of India * Wildlife Watch Group * World Association of Zoos & Aquariums * World Society for the Protection of Animals * World Wildlife Fund * Zoological Society of London.